If local anesthesia is not enough to relieve your anxiety or fear, conscious sedation may be the best solution. Sedation dentistry is routinely used throughout many dental practices. It can take multiple forms, depending on the patient’s specific level of anxiety or fear. There is light, moderate and deep sedation. Patients may choose oral sedation, which involves taking a pill or sedative prior to your procedure. More commonly, patients choose sedation inhalation using Nitrous Oxide (Laughing Gas). Nitrous Oxide is a light sedation that is an ideal choice for many patients. It is safe for both adults and kids. Laughing gas allows patients to completely relax yet remain awake and even communicate with the dental staff if needed. Nitrous oxide sedation is administered through a nosepiece and its effects stop within minutes of removing the mask. This enables patients to drive themselves home and avoid lingering effects of an oral sedative or IV sedation. At Mitzi Morris, DMD, we proudly offer sedation dentistry throughout a wide range of procedures. If you are avoiding a routine dental cleaning due to fear or anxiety, please ask us about our sedation dentistry options. Using sedation dentistry is nothing to be ashamed about; however, poor dental care certainly can be. 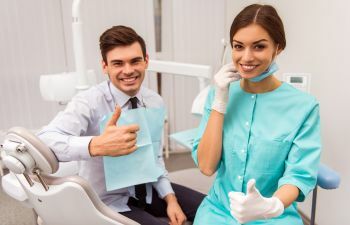 With today’s minimally invasive dental technology and favorable sedation dentistry methods, you have every opportunity to have a comfortable (and even enjoyable) visit to the dentist.